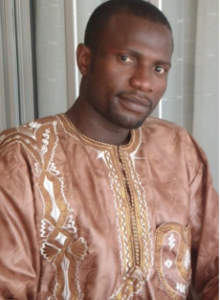 Chiambah Magnus Ciro Nash has been a missionary, teacher and community worker with Torchbearer Foundation for Missions, Reconciliation and Development in Cameroon since September 2012. He answered the call to serve his community during a visit by Igniting Africa founder Dr. Martin Niboh, when he heard Dr. Niboh’s call for young people to go back to their villages and be mighty warriors like Gideon in the Bible. He became a lead facilitator in his village Babanki Tungo, located in Tubah in northwest Cameroon, and began mobilizing people to form small groups to help tackle some of the community’s problems. Lead Facilitator in Babanki Tungo – As lead facilitator, Magnus formed and nurtured 15 non-denominational Torches, or small groups, to be problem solvers in his village. These groups identified needs such as building bridges, caring for the elderly and orphans and promoting education for girls. Some of the groups were trained in pig rearing and raising of broilers, and they carry on with these activities today, as groups and as individuals. His belief in the importance of empowering women lead him to start a vocational training program where women could learn trades like sewing, weaving, basic reading and writing skills, and computer training. This program brought together 30 women ranging in age from 25 – 60, and they met thrice weekly from 3pm to 5pm to learn these skills. Many of the women served as teachers as well as students, sharing skills they already had while learning new ones. The overall goal of the program was to empower women to solve their own problems and to provide them with a life skill that could fetch them some income to add to proceeds from their farms and petty businesses they were already carrying out. Involvement in the School of Christian Social Entrepreneurship – This is a tuition-free program where young people from rural areas are trained in sustainable community development, mastering disciplines such as solar energy and agriculture. Magnus also teaches legislation and citizenship, guiding students in basic legal principles in the areas of employment and employee contracts, insurance policies, and the duties and responsibilities of a good citizen. Education and Past Work Experience – Magnus is married and the father of two – Alyson and Daniel. He holds a Bachelor of Science degree in women and gender studies and sociology and anthropology from the University of Buea – Cameroon, graduating in 2009. Prior to joining Torchbearer, he taught literature, history and English at the Torchbearer school in Nkambe in 2010. He also taught English at the St. Louis University Institute of Health and Biomedical Sciences in Nkambe. While teaching in Nkambe, he owned and managed a provision store. Other Interests – Magnus loves music. He is a bass singer and conductor of his church choir group. He loves football and plays best in the defense line. During high school, he played basketball with the school team, as well as table tennis. Self-dignity is one of his core values that he strives to uphold in all circumstances.